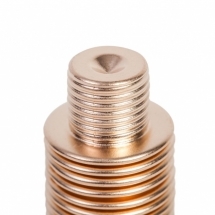 Metal bellows are key components in plenty of sensing, sealing, fluid handling and actuation applications. Different manufacturing methods and quality of material have significant effects on how reliably they perform in terms of stroke, pressure characteristics, spring rate and temperature response. Pay attention to the difference between seamless and seam-welded designs. Depending on the requirements of a project, in many cases, formed bellows made from longitudinal seam-welded tubes may be the most cost-efficient solution – e.g. 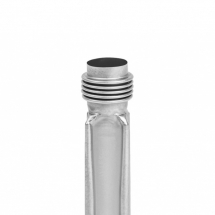 stainless steel bellows with simple compensation function. 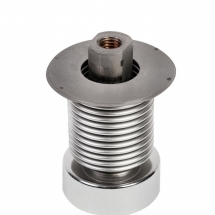 In the measurement and control technology, when very tight spring rate tolerances are relevant for the application, advantages of seamless metal bellows should be considered. Besides a low standard deviation in diameter and wall-thickness, the probability for micro leakages and contamination around the weld seam is reduced (e.g. for vacuum applications). 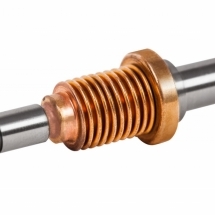 They perform consistently and convince with a long cycle life in high-precision applications.